He set the date for his retirement as Feb. 28, 2013. And, seen off by dozens of weeping Vatican employees, he flew by helicopter to the papal villa at Castel Gandolfo, where he remained until after Pope Francis was elected. The day before he left was a Wednesday and the overflowing crowd in St. Peter’s Square made it clear that it was anything but a normal Wednesday general audience. “The Lord has given us so many days of sun and light breeze, days in which the catch of fish has been abundant,” he said, likening himself to St. Peter on the Sea of Galilee. A monastery in the Vatican Gardens was remodeled for Pope Benedict, and that is where he has lived for five years, reading, praying, listening to music and welcoming visitors. Until 2016, the retired pope occasionally would join Pope Francis at important public liturgies, including the Mass for the canonization of Pope John XXIII and Pope John Paul II in 2014 and for the opening of the 2015-2016 Year of Mercy. Pope Benedict also attended the ceremonies for the creation of new cardinals in 2014 and 2015. But as it became more and more difficult for Pope Benedict to walk, Pope Francis and the new cardinals would get in vans and drive the short distance to the Mater Ecclesiae monastery to pay their respects. The retired pope’s letter to Corriere della Sera echoed remarks he had made the afternoon of his retirement when he arrived in Castel Gandolfo and greeted crowds there before the very dramatic, globally televised scene of Swiss Guards closing the massive doors to the villa and hanging up their halberds. 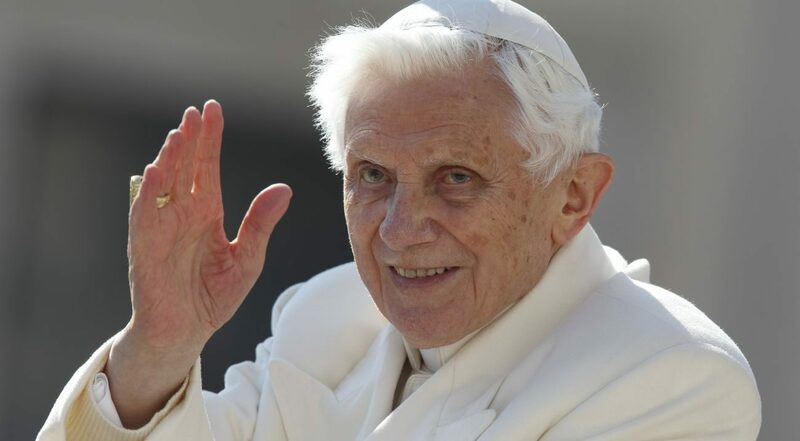 Insisting “my hour had passed and I had given all I could,” Pope Benedict said he never regretted resigning, but he did regret hurting friends and faithful who were “really distressed and felt forsaken” by his stepping down.